Rotates pattern content (shift and wrap content around the pattern start and end) and automation points for the current pattern. Creates a new menu entry 'Rotate...' in the Pattern Editor's context menu. 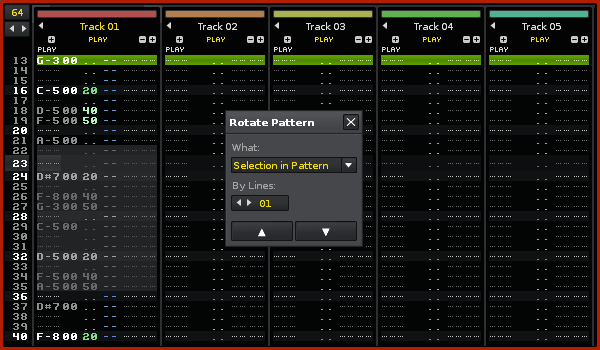 Also adds Pattern Editor shortcuts to quickly rotate selection content up and down.